Hiring so called waste bins in Adelaide can be the perfect solution to your waste management problems particularly if you've been dealing with a lot of it on a regular basis. Perhaps you're moving to a new place or in the midst of an extensive home renovation project? Maybe it's that time of the year again when you have to start pruning trees and hedges for spring cleaning? In any case, you can expect to deal with a lot of rubbish; too much for a small trash bin to handle. Well that's where use of our blue bins in Adelaide actually comes in. Now think about it - dealing with significant quantities of rubbish can be difficult for most people especially when they lack the equipment and manpower to do so. Not to mention the environmental regulations that one needs to consider when dealing with large quantities of rubbish. By renting big industrial-sized rubbish bins, you won't have to worry about all that. How so? What can Rental Waste Bins in Adelaide do for you? Of course you can always buy a skip bin but these are expensive not to mention the fact that you'll have to haul it off yourself when full. Hence its much more practical to rent out a waste bin instead as the companies that rent them out do take care of everything for you including delivery and pick up. More importantly, you get the flexibility of renting one that's just adequate for the rubbish that you're looking to throw out. 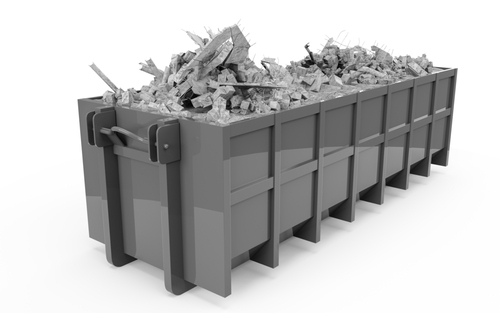 These bins are available in different sizes from 2 cubic metres to as large as a 9 cubic metre bin ideal for construction projects, waste concrete and garden rubbish. Companies that rent out waste bins in Adelaide help ensure that rubbish is never a problem that you need to worry about. That said, you do have to be careful about which service provider to opt. Some of them do tend to do a better job and more reliable than others. Needless to say, you'd certainly want to opt for the latter. After all, you don't want your skip bin sitting in front of your property for days just waiting for them to show up and haul away everything. This is extremely important particularly if you're in the middle of an extensive building or home renovation project as such delays hamper progress and render work areas unsafe. Looking to get started with some of the most reliable bin hire companies in the country? You can expect nothing less out of Bins Adelaide! Call us today on 0426 570 035 and check out our rental waste bins in Adelaide!